As tension continues to erupt in violent clashes on the border between Israel and Gaza, the living conditions in the Gaza Strip continue to deteriorate. A Catholic Parish Priest speaks of the desperation of the people, of the dwindling Christian community, and of the widespread fear of a possible new war. 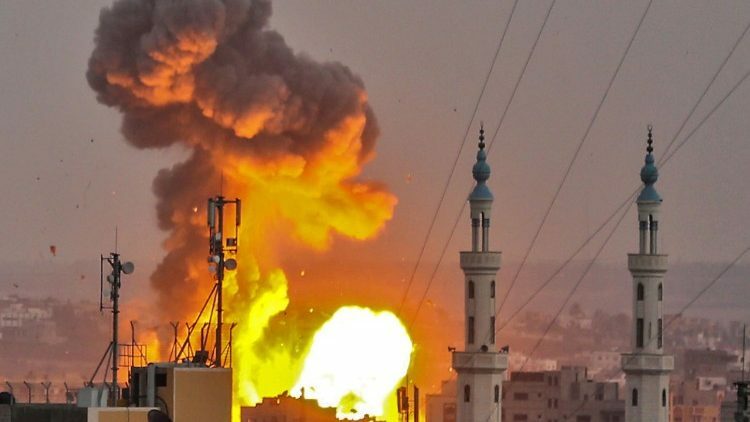 The United Nations Mideast envoy has warned that Israel and Hamas were “minutes away” from another “devastating confrontation” in Gaza on Saturday. Sounding the alarm, Nikolay Mladenov said that crucial work is required to change the current deteriorating dynamics that, he noted, could lead to the fourth war in a decade between Hamas and Israel. Father Mario Da Silva is the parish priest of the Holy Family in Gaza. He told Vatican News’ Thimotee Dhellemmes the living conditions inflicted by Israel’s 11-year blockade of the territory are terrible and that the people in Gaza have all but lost hope. “The people here don’t have food, they don’t have electricity and they are really afraid about a new war” said Fr Da Silva. Recalling the violence unleashed during the previous week when Israeli forces attacked the border area with Gaza, he said that five people were killed including 2 children ne said: “We are in a very bad situation, people are living without work and without freedom to move , without electricity or drinkable water”. And he explained that the people of Gaza are not allowed to go wherever they want, they cannot leave Gaza and look for work outside the walls. Speaking of the role of the Church at this dramatic time of crisis, Fr Da Silva said it is “to try to bring consolation and give hope to the people. He explained that there are no future perspectives for Christians and lamented the fact that in 15 years the small Christian community has lost 70 members.